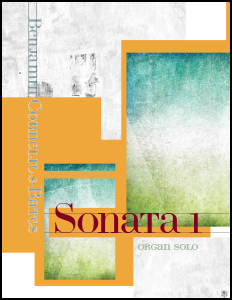 Benjamin Cornelius-Bates’s “Sonata I” was commissioned for the 2018 American Guild of Organists National Convention Kansas City. The commission explicitly requested a work of only intermediate technical difficulty so that it could be accessible to a large number of organists. In addition to the whole piece being a striking concert work, the four varied movements of the sonata can serve as individual service voluntaries.